The Dahlia Industrial Floor Lamps offer sleek, minimalist style to brighten your space! 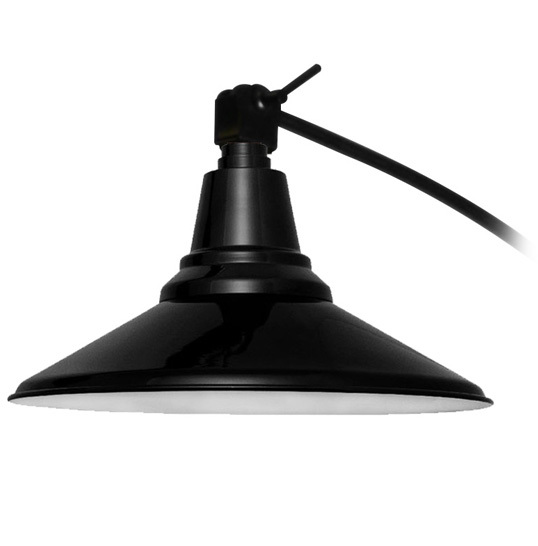 Our Industrial Floor Lamp offers the same classic styles as our Gooseneck and Pendant fixtures in a convenient floor model. This lamp plugs in to any standard wall outlet in your living room, bedroom, office, or studio and provides a wide cast of warm LED light. Compatible with all of our barn light shade styles up to 12", this floor lamp is perfect for lighting while reading or working or even for ambient lighting. 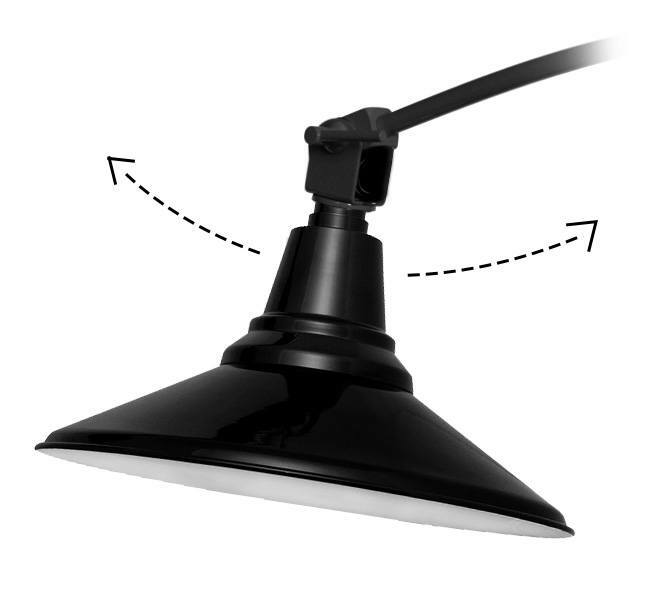 The Industrial Floor Lamp's shade angle can be adjusted using the handle at the neck of the fixture. Rotate the shade up or down to perfectly suit your needs. The height of the lamp can be adjusted using the handle on the base. Simply pull the handle to loosen the joint, angle the fixture as needed, and use the handle to lock the fixture into postion. 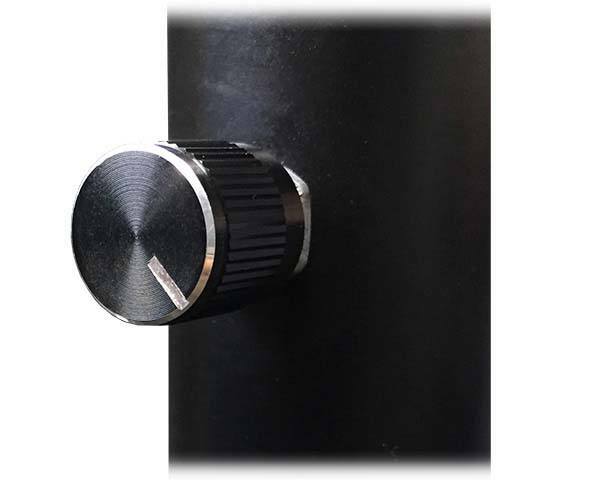 Use the built-in dimmer dial to control the brightness of the lamp. 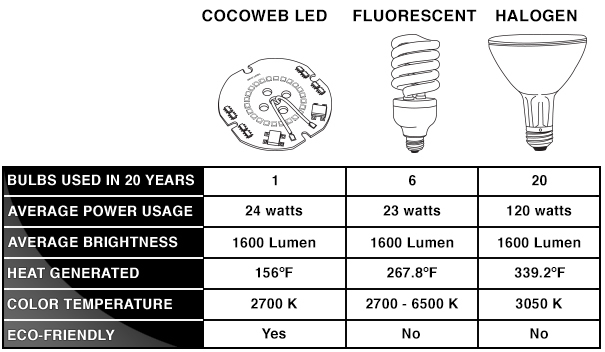 Adjust for a maximum brightness of 1600 lumens, which is brighter than a 100-watt traditional bulb. This floor lamp is built with an LED array that lasts for over 50,000 hours (about 20 years of use). LED technology provides an environmentally friendly, energy-efficient, and cost-efficient solution for illuminating your space. Designed to run in peak energy efficiency, our lights consume only 24 watts of electricity while lasting for over 50,000 hours. This eco-friendly operation not only benefits the Earth by reducing energy pollution, but also saves you hundreds on your electric bill and ensures quality lighting for the next 20 years. 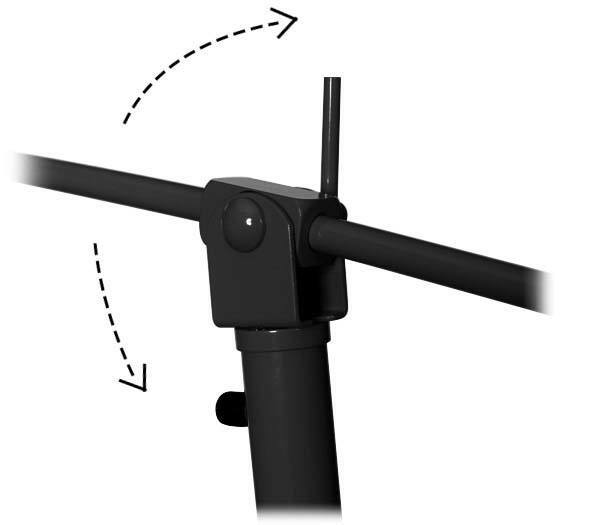 Our Industrial Floor Lamp is simple to assemble and install, for a quick and easy solution for your task lighting. Simply assemble the lamp base, strip the cord on the lamp shade to your desired length, wire the two together with the included wire nuts, plug the lamp in, and you’re ready to work in the full illumination of industrial floor lighting. Loving this floor lamp so far. Nice simple design that blends with my office. It's the perfect task lamp, just what I needed!